Every business, every organisation, has some form of industrial waste management concern. For some it is simply a case of tapping into locally available facilities. But for many companies, organisations and authorities, industrial waste management is a complex and serious subject that requires a specialist solution. Generally speaking that means seeking assistance from a respected, professional organisation that can provide all the expert advice and support you may be looking for. Matthews Environment Solutions, based in the UK and universally recognised as the world leader in waste incineration technology, can provide all the expert advice and the level of support needed to deliver the precise solution you are looking for. No other organisation in the world possesses the same level of experience and expertise that is required to provide internationally proven solutions for every industrial waste management concern – ranging from the most simple to the biggest, most complex and most environmentally critical requirement. The simple fact is, that depending on your own activities and requirements, Matthews Environmental Solutions offers the most outstanding catalogue of industrial waste management options. 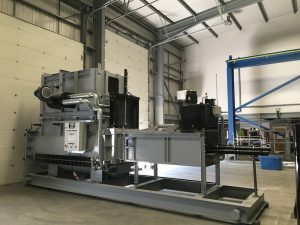 These range from compact, standard waste incineration units to the biggest, most specialist and most impressive bespoke solutions that are individually designed, engineered, installed and commissioned to resolve a specific industrial waste management issue… no matter how large or complex that may be. It is only by speaking to our team of highly experienced professionals that we will be able to provide the unique level of industry-based advice that is necessary to resolve your own industrial waste management dilemmas… efficiently, ecologically, compliantly and above all – cost effectively. Our Surefire® and Allburn® waste incineration ranges provide standard solutions for a huge span of industrial waste management requirements. Should, however, any of these standard models not quite answer your needs then we can customise them to suit any individual situation. On the other hand our bespoke solutions include some of the most specialised as well as the very largest industrial waste management installations in the world. There is more though. 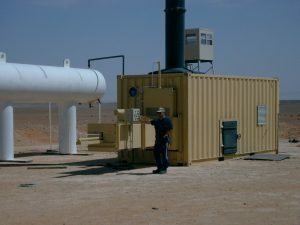 In addition to providing fully proven industrial waste management solutions, our unique level of experience also often enables us to design-in valuable energy recovery systems. These utilise the heat generated by the waste incineration process to produce re-usable energy in the form of steam, hot water and hot air that can then be employed within your own industrial processes or as a space heating resource. What’s more, where feasible we are able to use the latent power of the incineration process to generate electricity that can subsequently be used as an on-site power source or as a profitable commodity to be sold to an off-site energy distributor. If you have an industrial waste management requirement and would like to speak to the world leader in waste incineration technology to discuss the most appropriate solution, then please do not hesitate to contact us. You can call us on +44 (0)161 337 4488. You can also email us at: sales@matwuk.com or you can also send us an online message using the form that can be found on our Contact page.